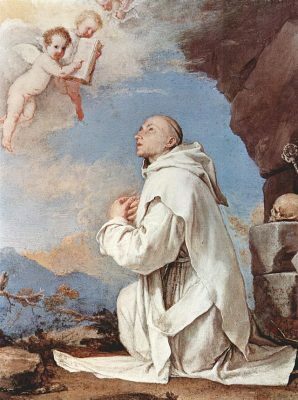 Alive from 1030 to 1101, St. Bruno of Cologne was well known for being the founder of the Carthusian Order, a teacher at Rheims and was wanted as a personal adviser for his former student, Pope Urban II, but he declined due to his vow to live a simple life. 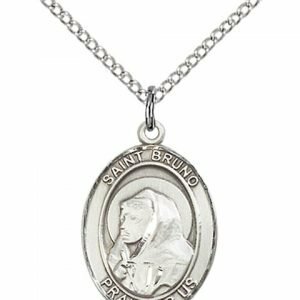 St. Bruno and six companions moved to La Grande Chartreuse where they lived in poverty, manually labored, prayed and transcribed manuscripts. He wrote several commentaries on St. Paul’s epistles and the psalms. 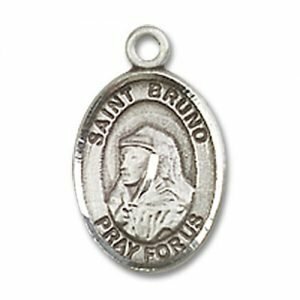 St. Bruno’s feast day is October 6 and was extended to the whole church in 1674. He is frequently portrayed holding and contemplating a skull with a book and a cross. 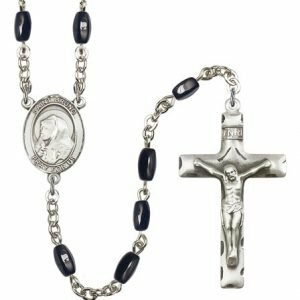 He stands as a light of Christ against the darkness of the devil. 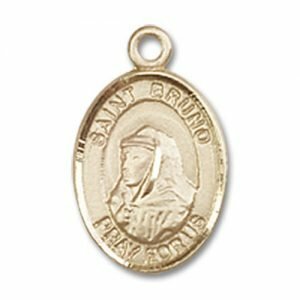 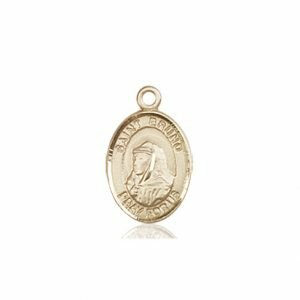 His medal shows a simple saint who needed little to live in Christ’s light.